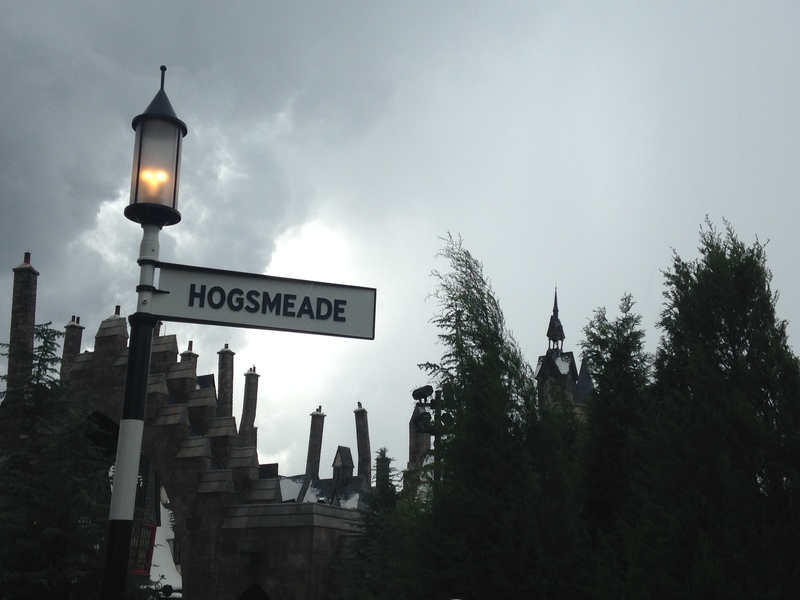 It’s no secret that the Wizarding World of Harry Potter–Hogsmeade at Islands of Adventure has been a huge success since its grand opening in June of 2010. 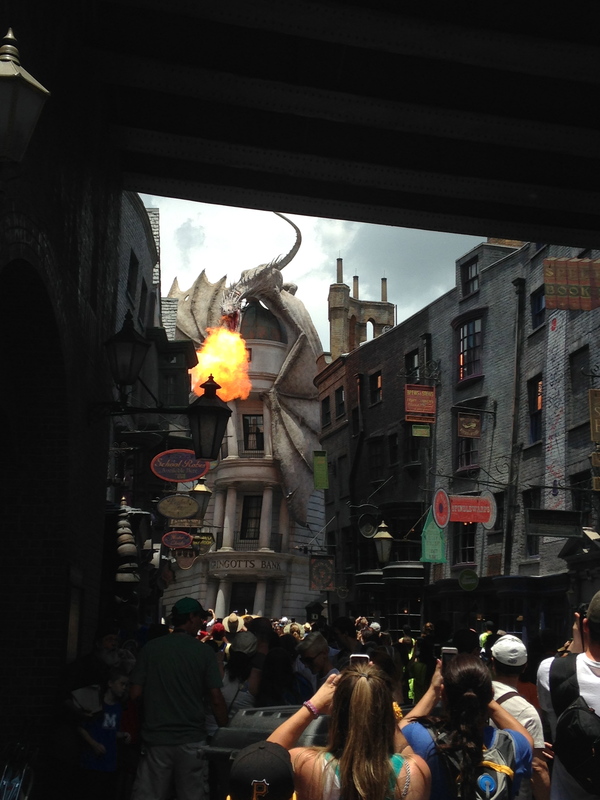 However, the creative team at Universal has brought to life an area that very well may trump its predecessor. What area is this, you may ask? 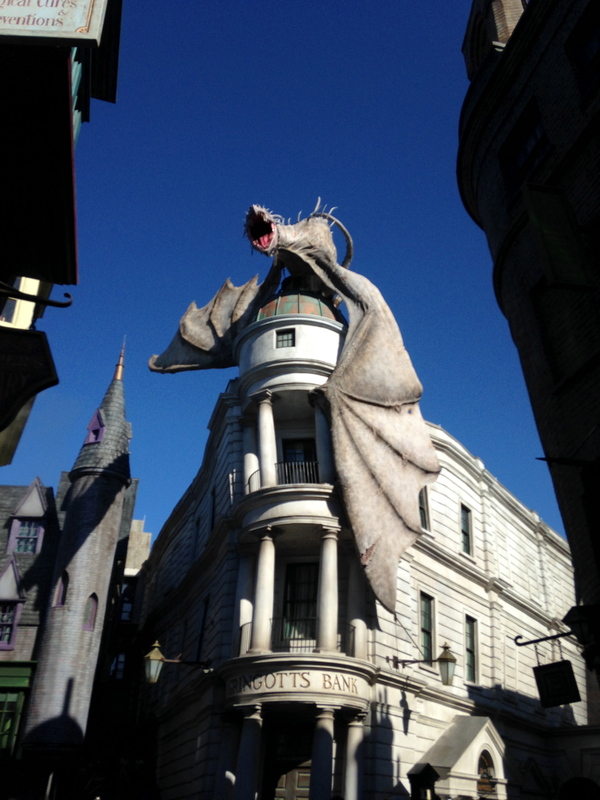 Why, it’s the Wizarding World of Harry Potter–Diagon Alley at Universal Studios Florida. Tip #1: Get to the park BEFORE it opens. I cannot stress how important this is. 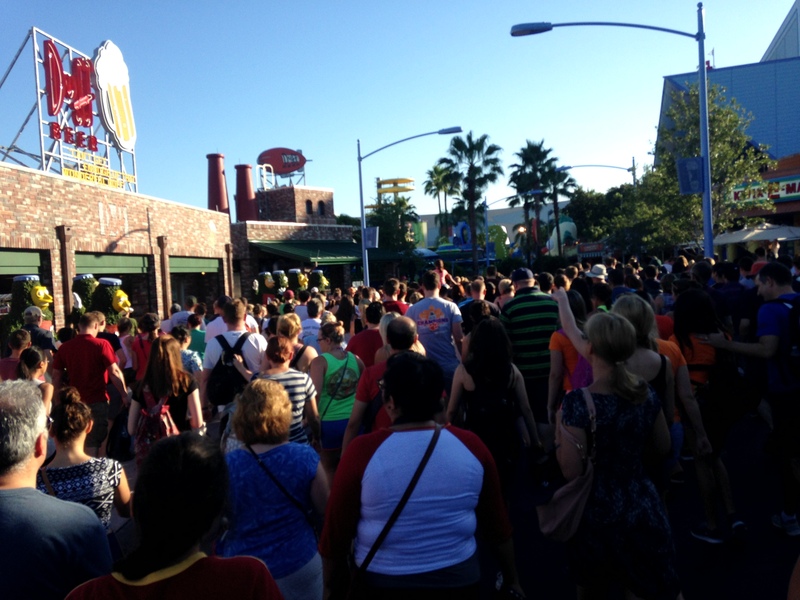 For the remainder of the summer, Universal Studios Florida and Islands of Adventure will open at 8 a.m. each morning. 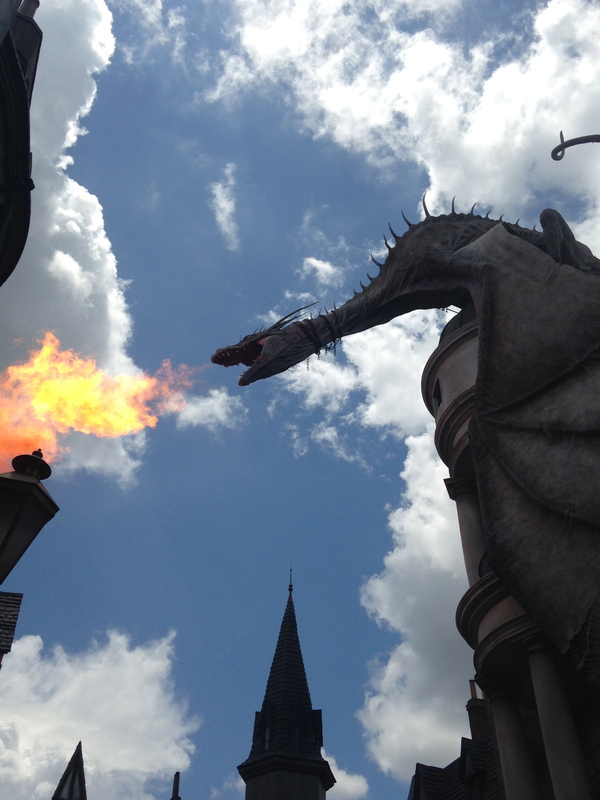 Diagon Alley is located in Studios, so make your way there FIRST. 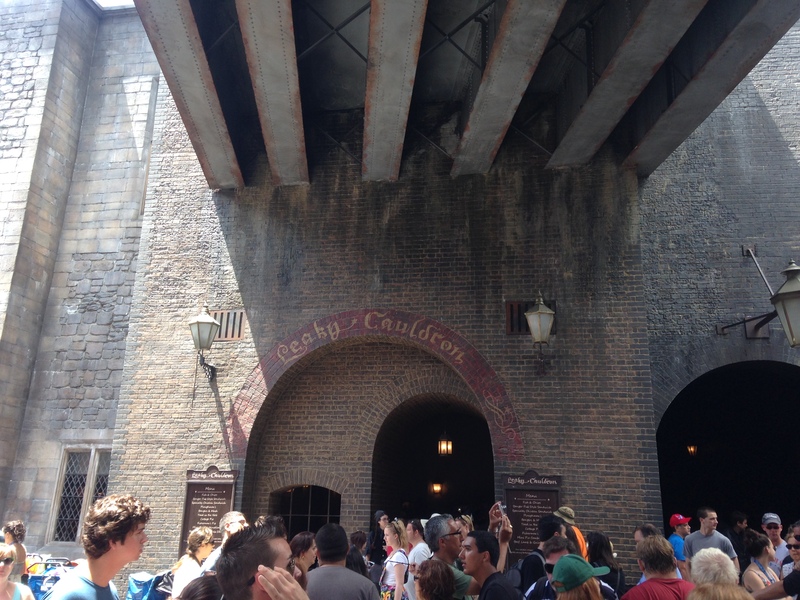 If you are under the impression that you can get into IOA, ride the Hogwarts Express (more to come on this later), and get into Diagon Alley that way, you’re wrong. 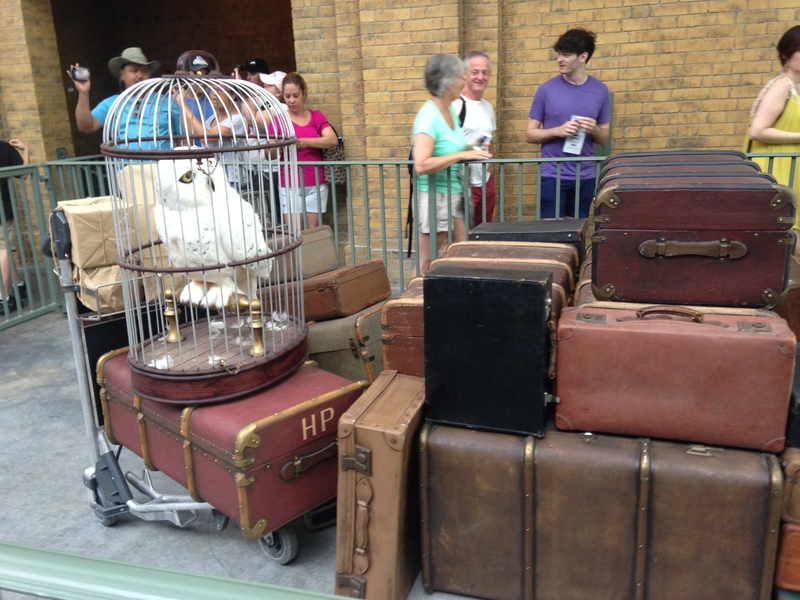 You will STILL have to wait on a line in order to get into Diagon Alley, so your best bet is to go straight to Studios. When my family and I arrived on July 9th (the day after Diagon Alley was officially open to the public), we were allowed into the park before 8 a.m. and were held with the rest of the early morning crowd behind a rope on the ‘street’ that is home to Terminator 2: 3D and Theatre Magic (aka the ‘Hollywood’ section). 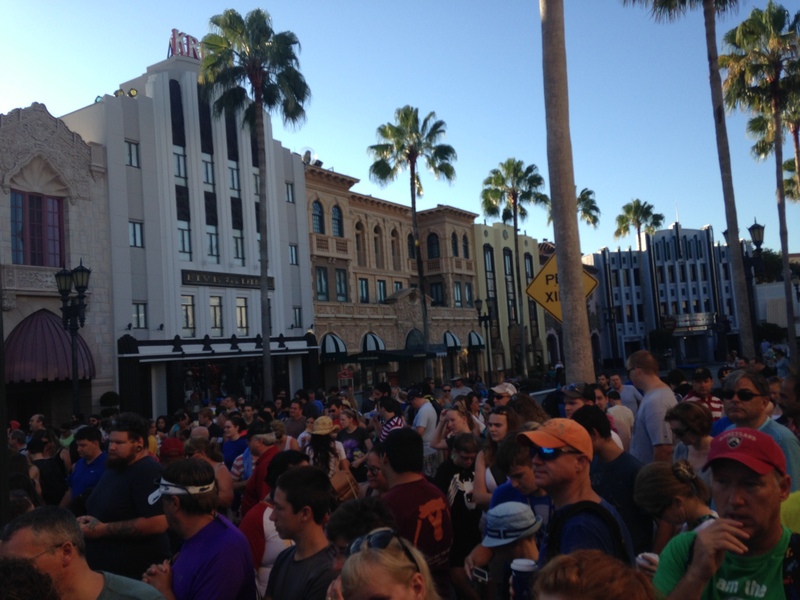 *Note: On-site resort guests were able to get into Diagon Alley starting at 7 a.m.* When 8 a.m. arrived, Universal employees walked WITH the rope down toward the entrance to the line for Diagon Alley, which is located next to Men In Black: Alien Attack. This was an excellent strategy for crowd control–it allowed the guests to safely, and SLOWLY, make their way through the park, reducing the risk of injury and fights. I was quite impressed with this, actually. Kudos, Universal. Once we made it over to the entrance to the line, we were only held up for about 25-30 minutes until we were moving, fast, through the queues. 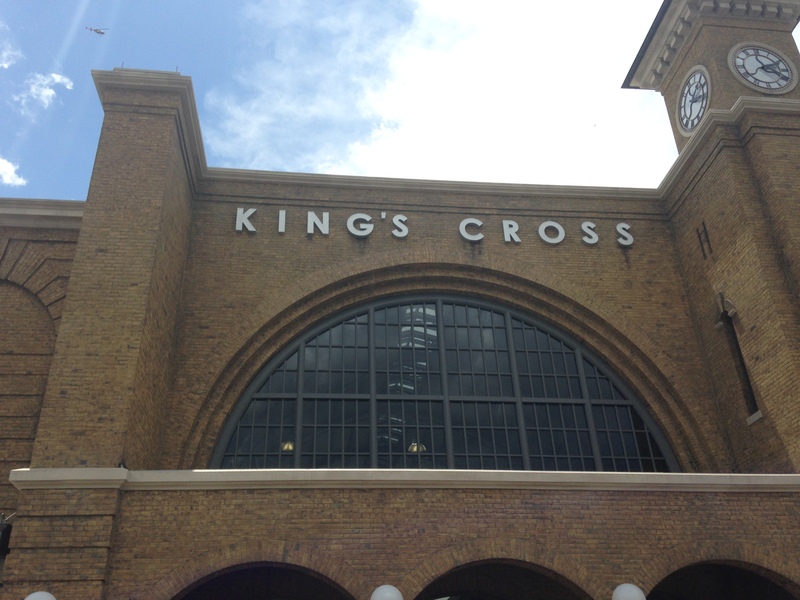 We did stop a few times briefly after this, but we were able to enter London and make our way into Diagon Alley within an hour. Yes, you read that right. 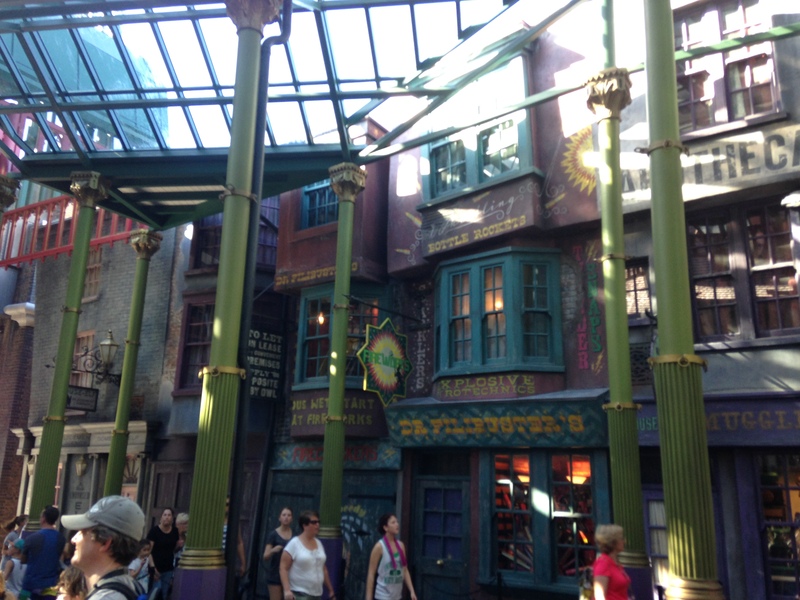 The day after the grand opening and we were IN Diagon Alley by 9 a.m. You may gasp. I won’t blame you. 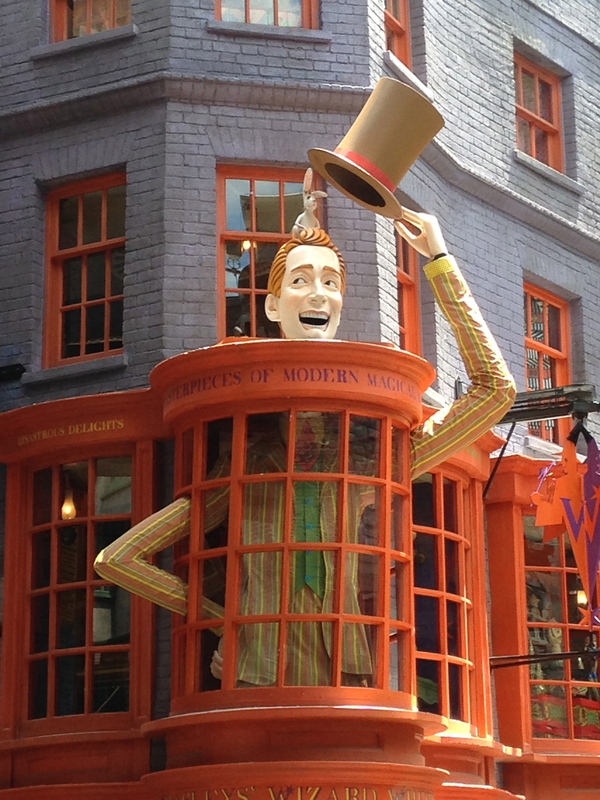 If you are already on line to get into Diagon Alley, do NOT, for any reason, leave to get a return ticket, thinking that it will save you time. 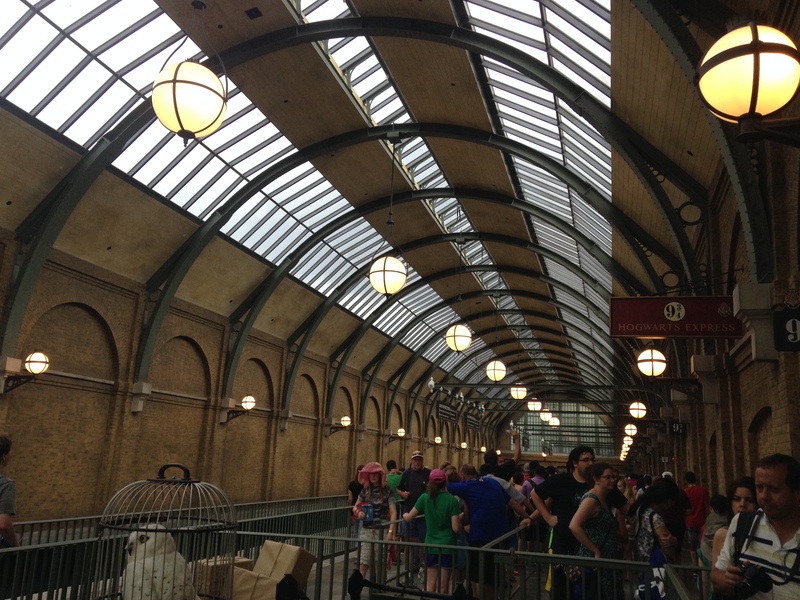 We saw several people get off the line to get return time tickets that ranged from 9:30-10 a.m. Had they stayed on the line, they would have gotten in WELL before those return times. 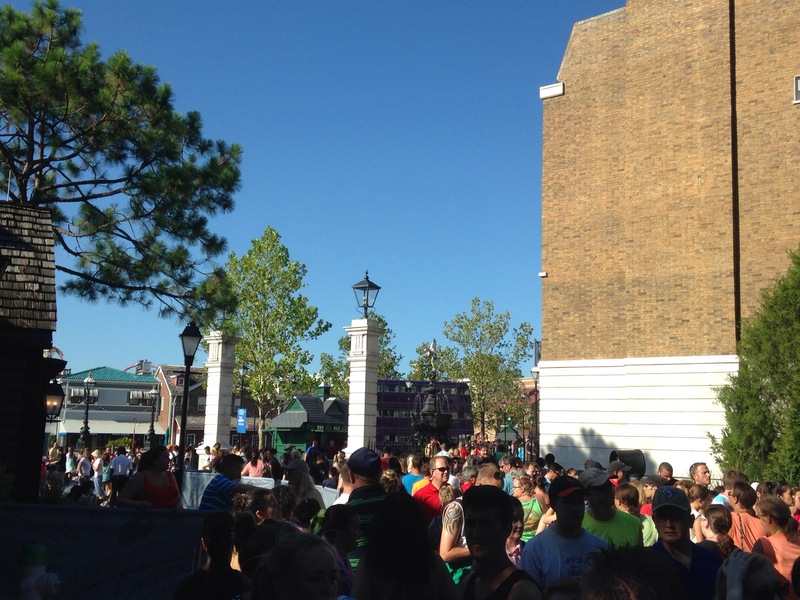 If you are waking up early to get into Diagon Alley, just wait on the line. It’s the best option if you want to experience everything, including the new ride, before the day is over. 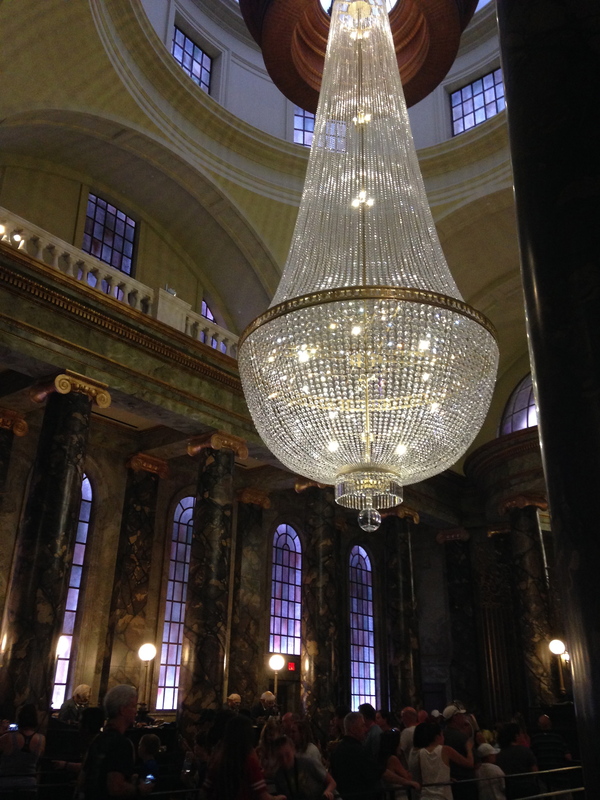 We entered London and even though we all wanted to stop and and take pictures, we were on a mission: Get in line for Harry Potter and The Escape From Gringotts. 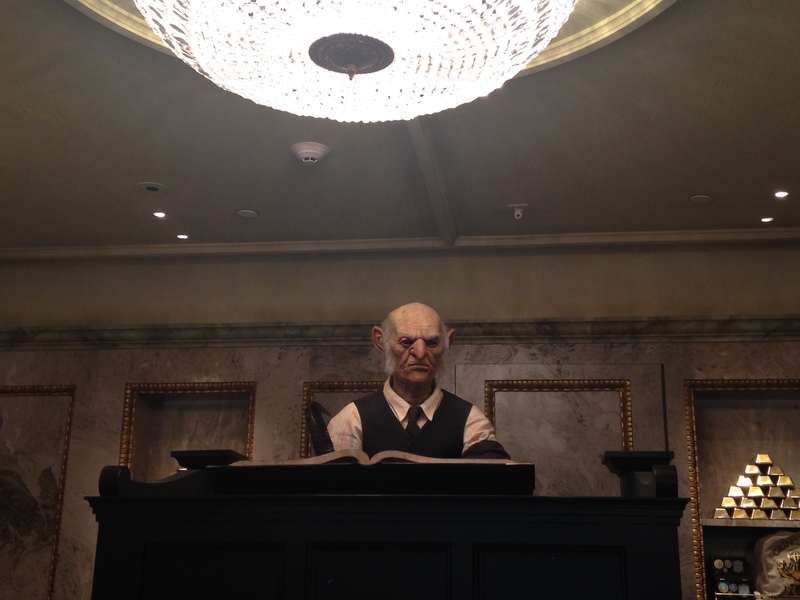 We walked through the ‘wall’ into Diagon Alley, and were immediately greeted by the focal point of the entire area–Gringotts Bank and its guard dragon. That first sight is honestly breathtaking. 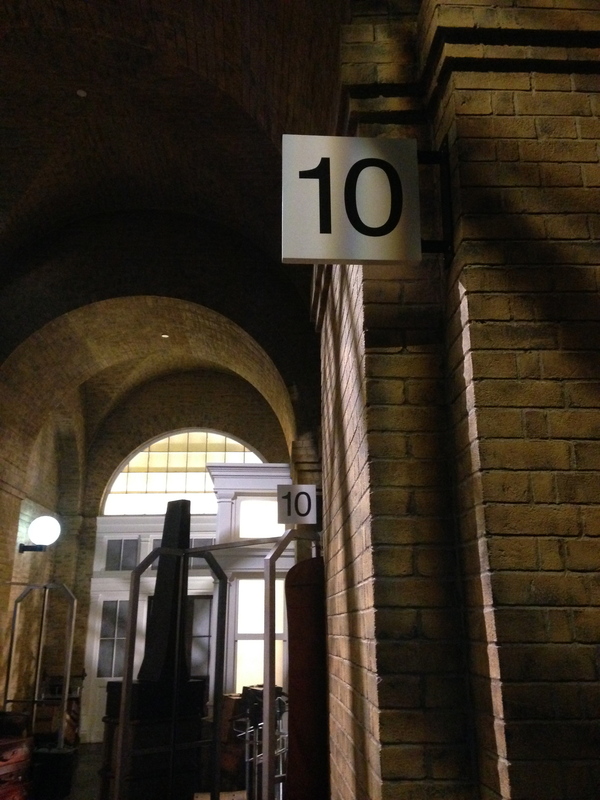 My jaw dropped, and I walked in a daze, snapping quick photos as we made our way to the line. 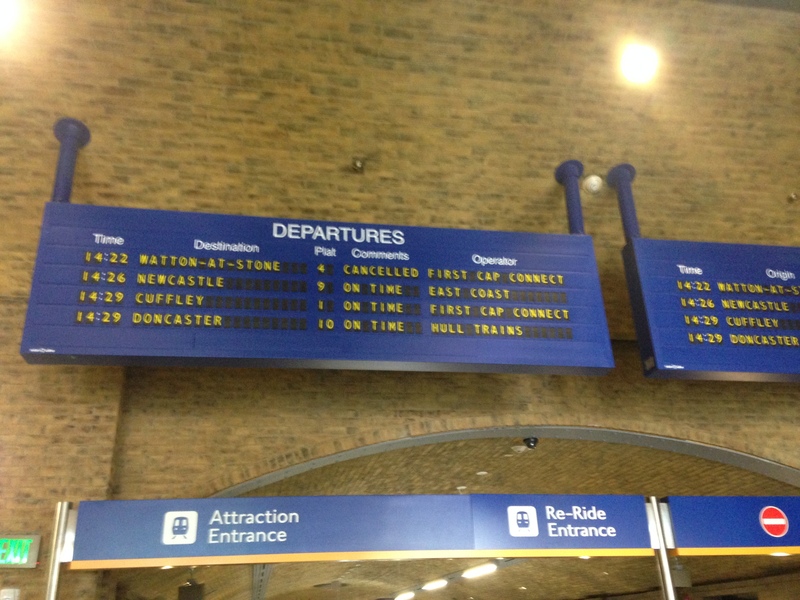 The current wait time was 330 minutes, or five and a half hours. No surprise there. However, we took a different route, and this is my third tip for you. Okay, okay. 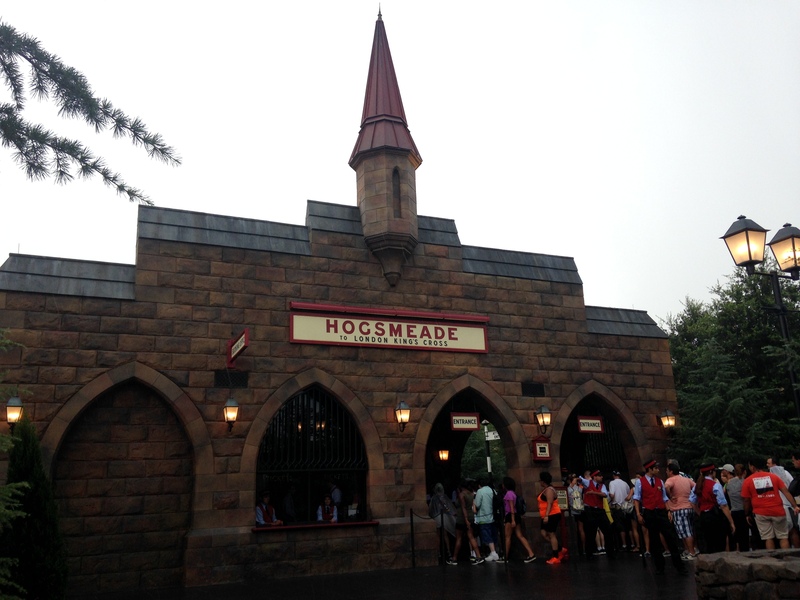 I know half the fun of this attraction is the line itself, but if this is your first trip to Universal, do you want to spend a HUGE chunk of your day waiting in line for this ride? 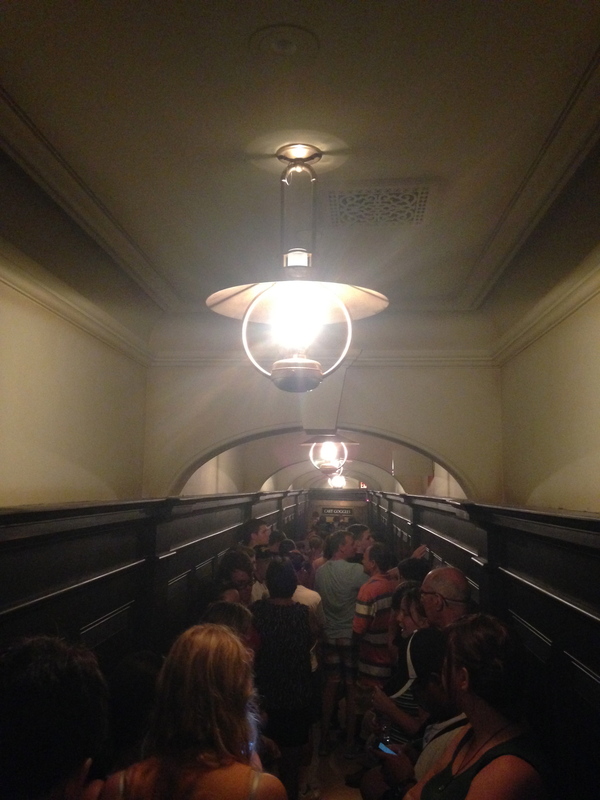 In addition, if you’re one of the unlucky few (or hundred) that waited 5+ hours just to get INTO Diagon Alley, do you want to wait another 5 for the ride? That would be 10 hours just waiting in lines. If you have older children that can ride alone, do the single rider line. 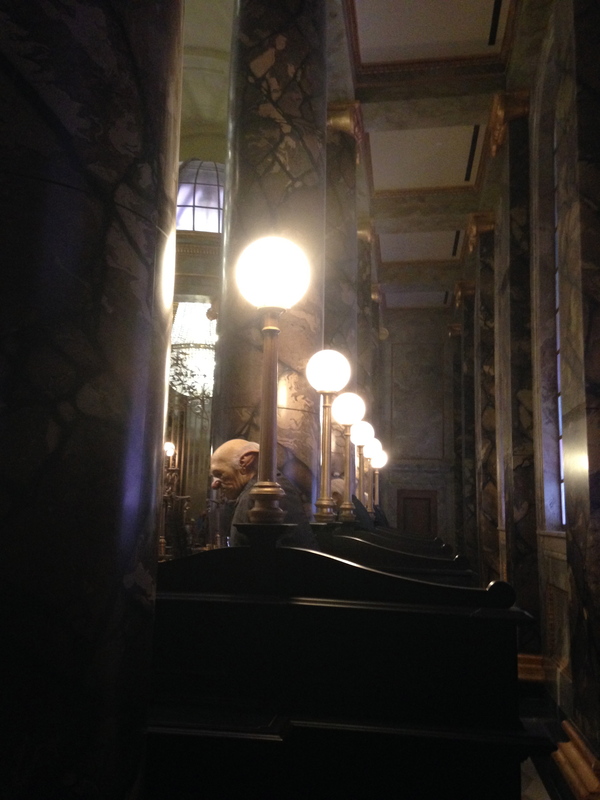 You may not get to experience the entire queue area, but you do get a quick glimpse of the bank on your way to a hidden corridor until you meet up with the other line in a stairwell leading up to the attraction. Trust me. It’s better in the long run. My family and I waited approximately two hours to ride and, luckily for us, we got to ride with each other! My dad and mom got to ride together, and my sister and I got to ride together. 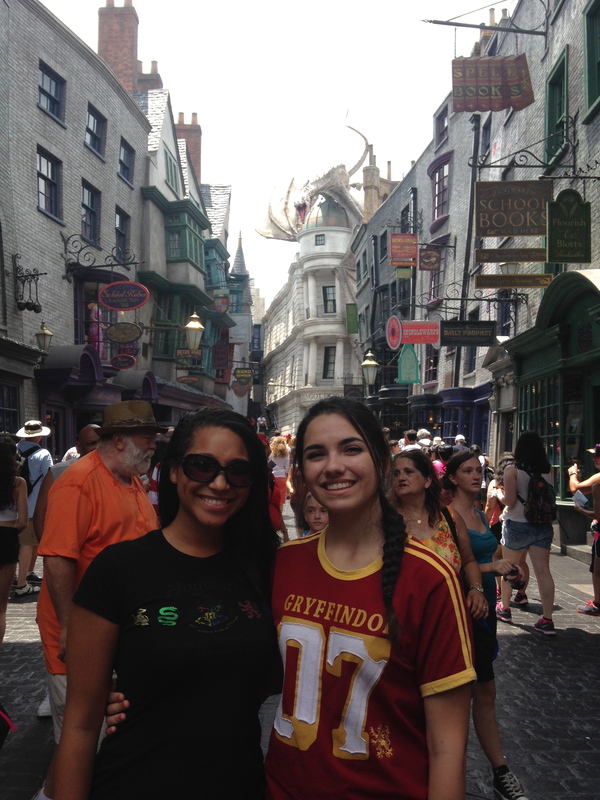 In fact, my sister and I got to ride twice. While we were on the ride, it stopped moving. 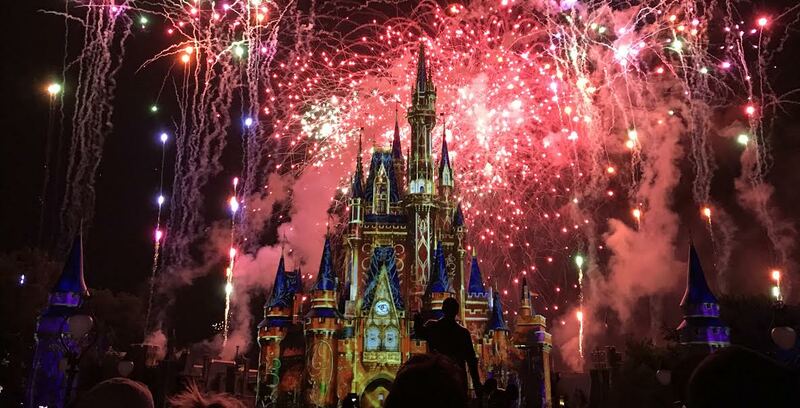 While it didn’t bother us too much because we’ve dealt with malfunctions on new rides before and understand that it happens, many guests were outraged. The whole ‘experience’ was kind of ruined because we did miss a few parts, so the employees allowed us to ride again with a minimal wait. I was very pleased with how they handled this, but I was disgusted by the rude remarks made by the guests who were getting to ride AGAIN. They were completely rude to the attraction attendants who, of course, have no control over the ride malfunctioning, and are allowing all of us (and there were quite a few of us) to ride again. Be courteous and respectful to these employees. They’re doing their best and it isn’t their fault. Keep the curse words and nasty attitudes to a minimum, please. 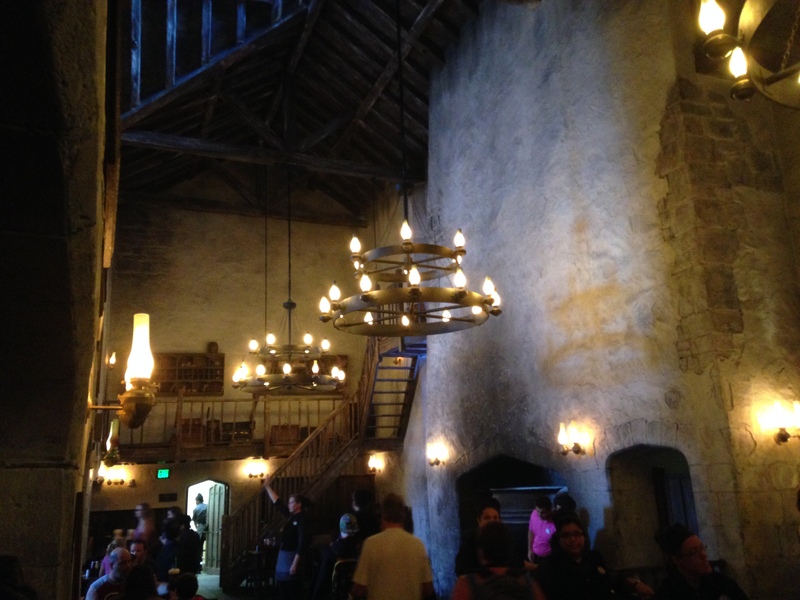 I won’t spoil the ride for those of you who will be making a trip to Universal and want to be surprised, but I will say that it’s very different from Harry Potter and The Forbidden Journey. If I were to describe it, I would say it’s a mix of Revenge of The Mummy and The Amazing Adventures of Spider-Man. 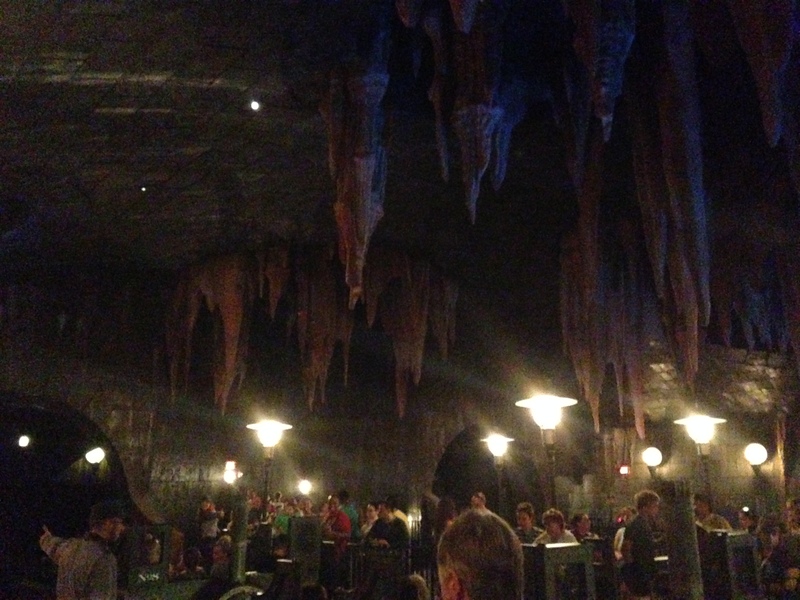 However, I honestly won’t be waiting to ride it again until that wait time goes WAY down–but that’s just me. 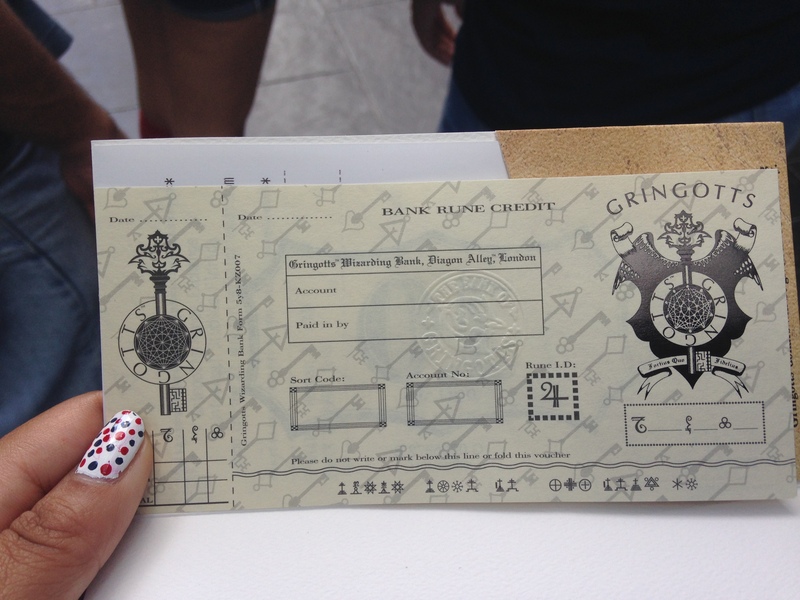 Within 3 1/2 hours, we had gotten into Diagon Alley and rode Gringotts (twice, in my case). We were feeling like winners–we had managed to do the impossible. 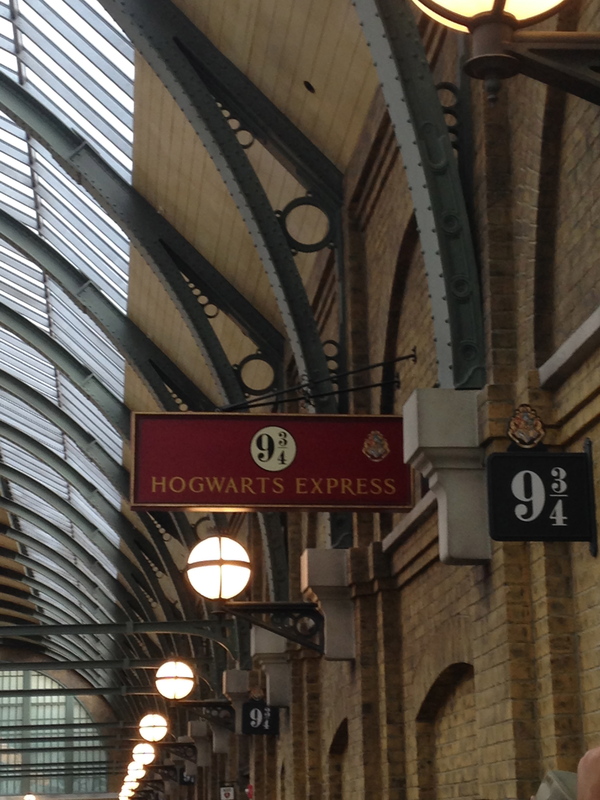 This left plenty of time to explore Diagon Alley and, of course, take a ride on the Hogwarts Express. 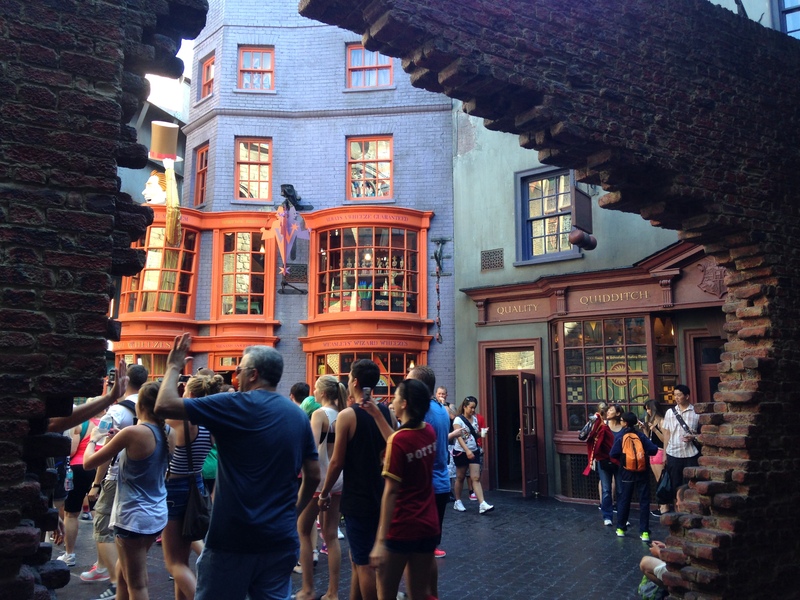 There may not be any actual roses to stop and smell, but the point of this tip is that it’s important that you take your time to truly explore and take in everything that Diagon Alley has to offer. 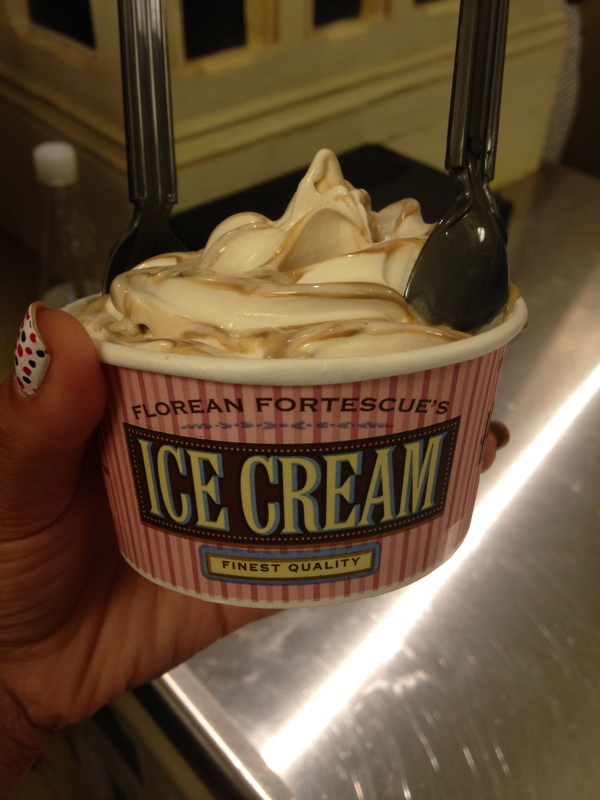 Watch the stage shows, get a butterbeer ice cream from Florean Fortescue’s Ice Cream Parlour (which, in my opinion, is better than ButterBeer), get in touch with your silly side in Weasleys’ Wizard Wheezes, purchase a wand from Ollivanders, explore Knockturn Alley, or exchange your Muggle money for Gringotts Bank Notes at Gringotts Money Exchange. 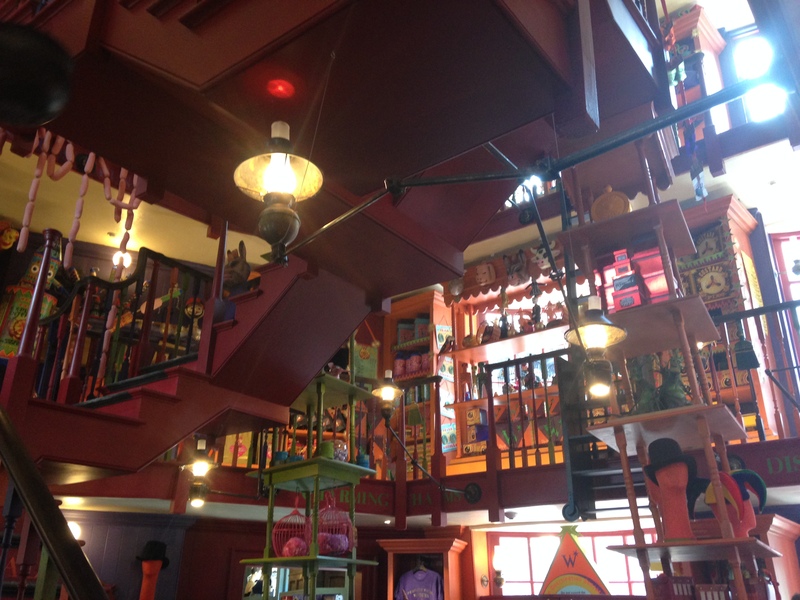 There’s so many things to do, and once you leave Diagon Alley you may not be able to get back in due to long lines, so make sure you do everything you want to do before you head out! 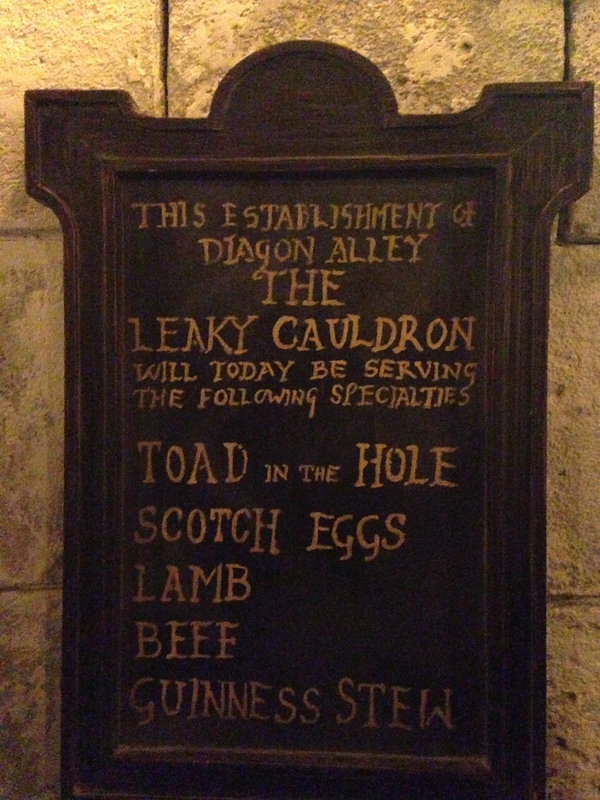 Before leaving Diagon Alley, of course we had to dine at the Leaky Cauldron. 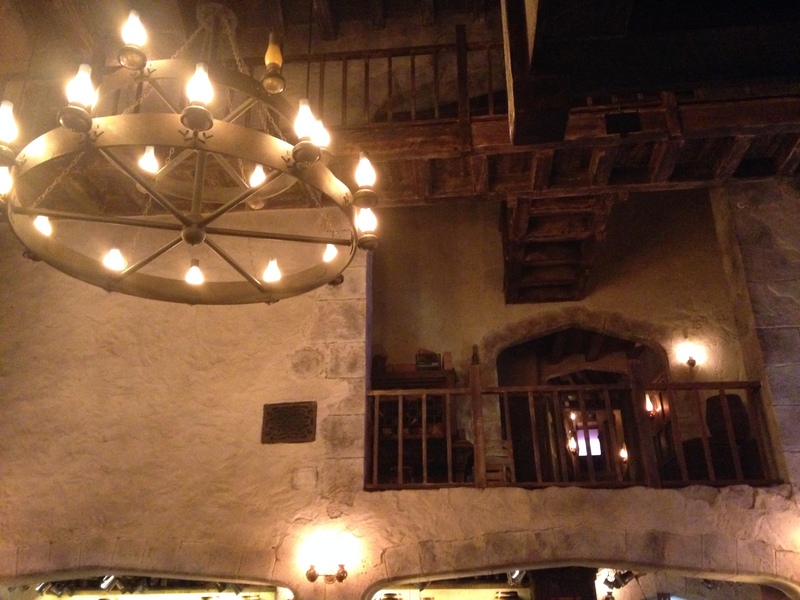 The atmosphere was perfect, the food was good, and the service was friendly. 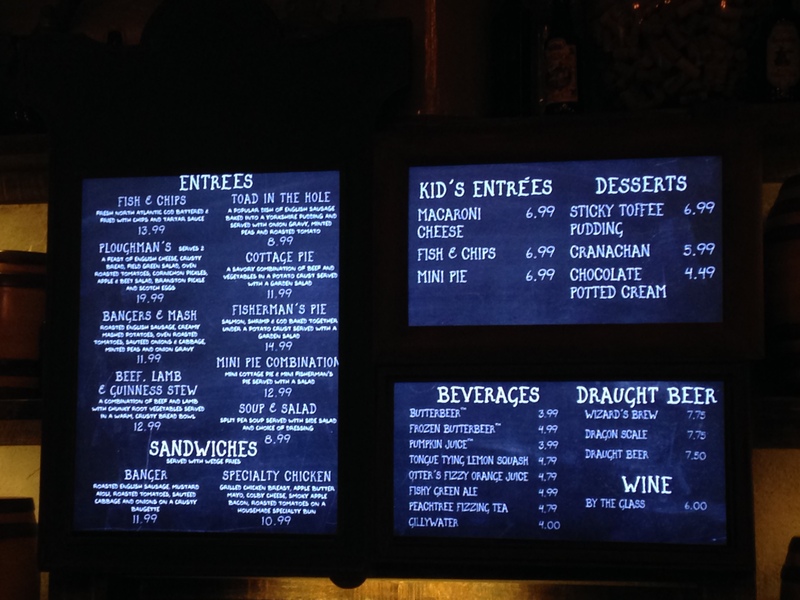 If you’re not feeling courageous enough to try their signature dishes, there are a few familiar dishes that are sure to satisfy your hunger, including a chicken sandwich. 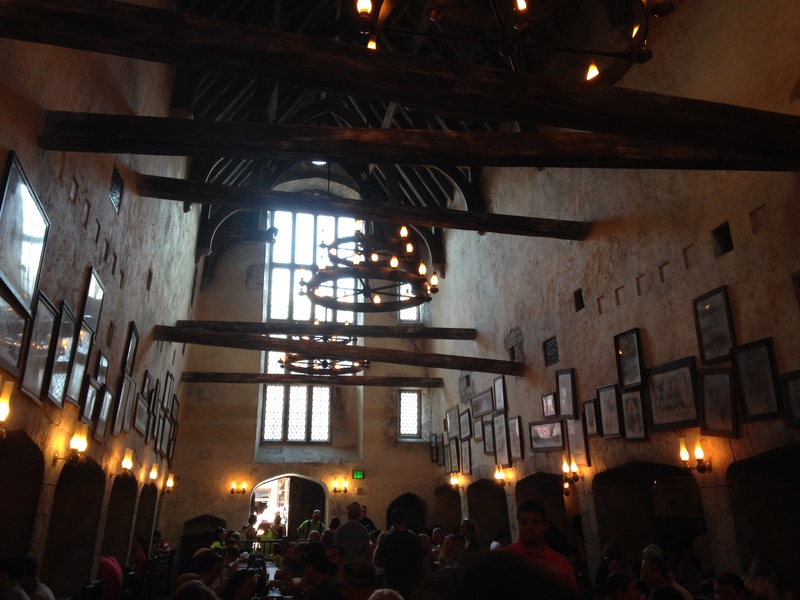 I would definitely recommend eating here during your trip to Diagon Alley. 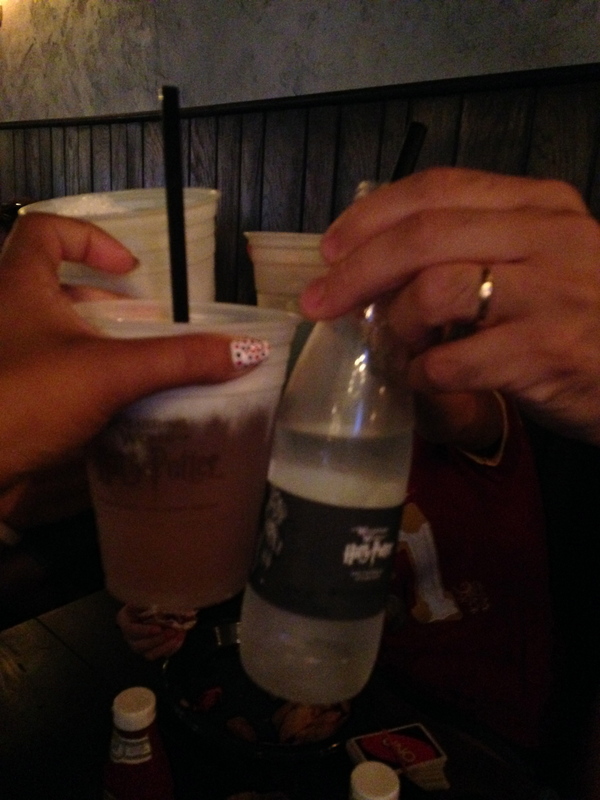 Upon leaving Diagon Alley, we visited the Knight Bus before heading into Kings Cross Station, where we would board the Hogwarts Express to Hogsmeade in Islands of Adventure. 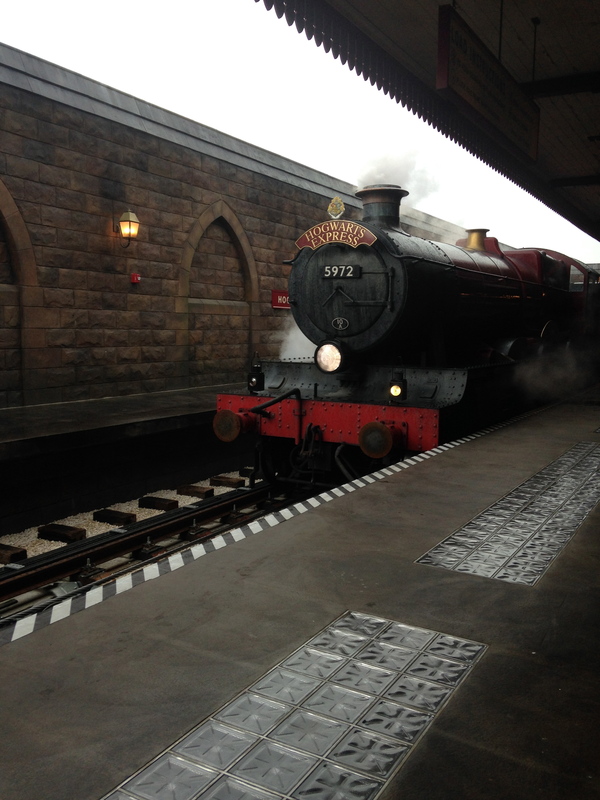 Because you will be traveling from Universal Studios Florida to Islands of Adventure, you need a park-to-park ticket, or an annual pass, in order to board the Hogwarts Express. 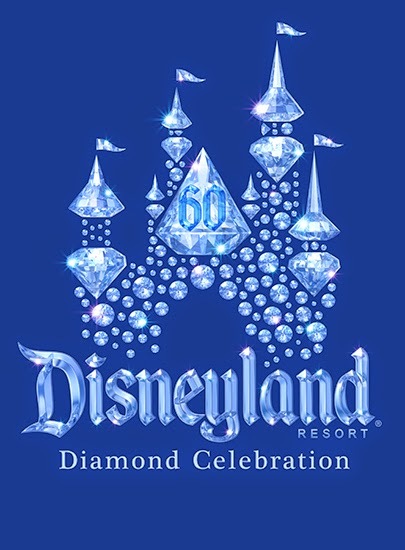 Unless you really have no desire to explore the other park (I can’t imagine why you wouldn’t want to), then definitely get the park-to-park ticket. 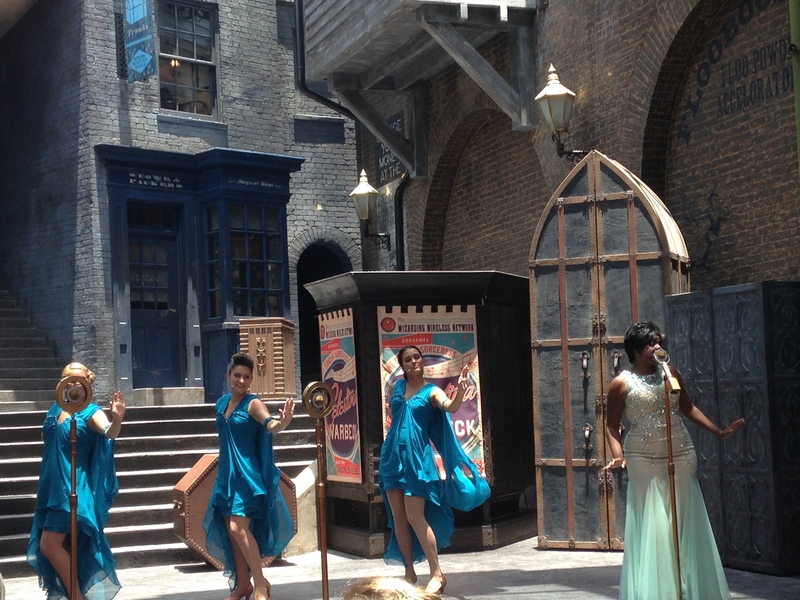 You’ll be able to fully experience everything the Wizarding World of Harry Potter has to offer, as well as the other attractions within both parks. 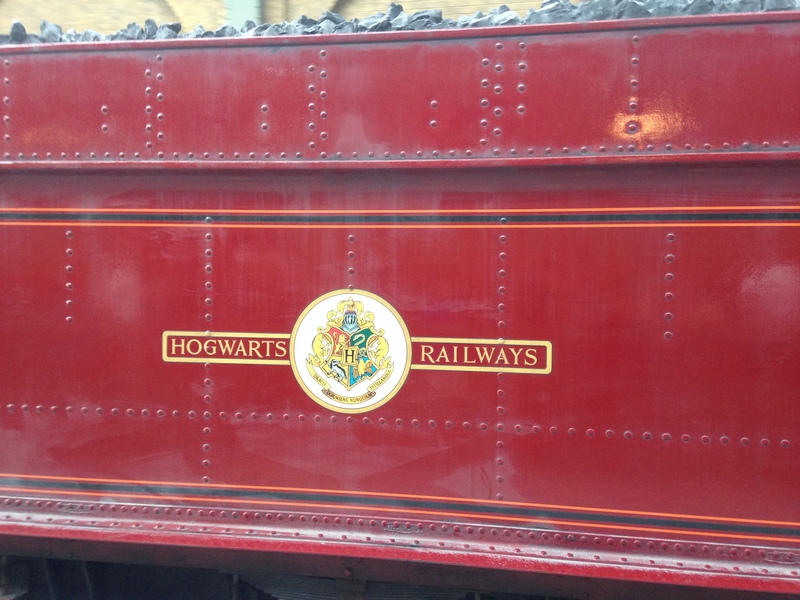 Another side tip–ride the Hogwarts Express in both directions, meaning ride it from Kings Cross to Hogsmeade and then from Hogsmeade to Kings Cross. You get a different experience each way, and they’re both worth experiencing. 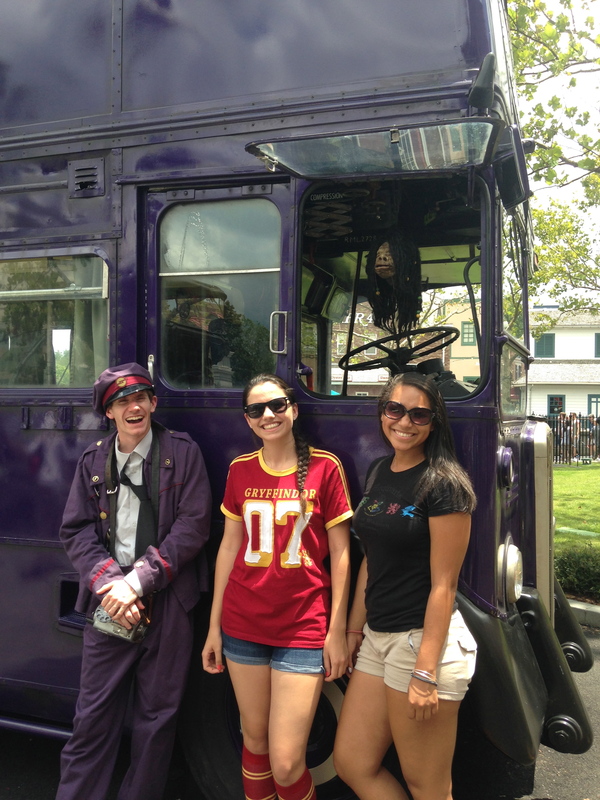 I hope this post has helped you with your own Universal trip planning, has gotten you excited, or has informed you in some way. If you have any questions about anything mentioned or anything left out, please don’t hesitate to leave a comment! 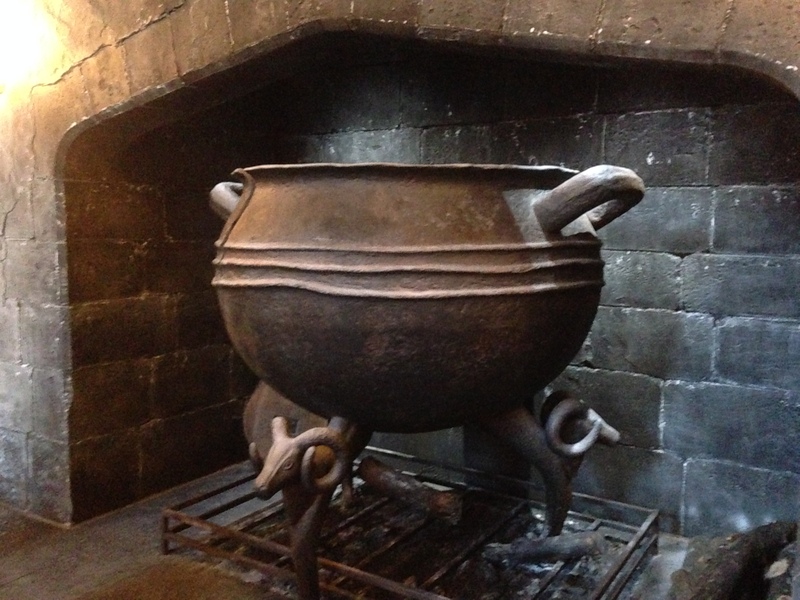 I’d love to help make your trip to the Wizarding World of Harry Potter even more magical.